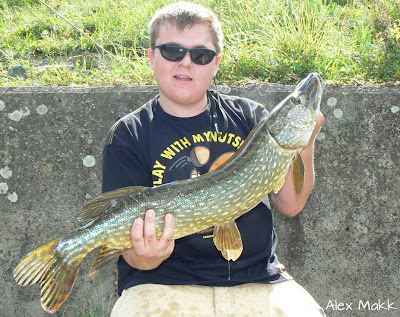 Alex Makk's Fishing: biking for a piking. 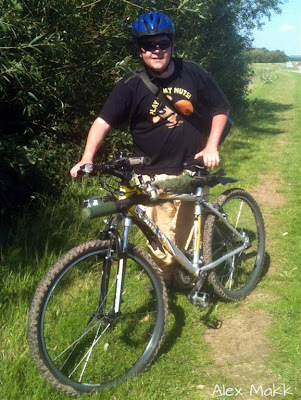 At the start of July, I had brought myself a secondhand (but very well looked after) pushbike. for the main intensions of it being quicker for me to nip to the local Aldi, Iceland & shop for the Farther & midweek 'top-ups' of the household supplies. I also have it in mind for getting me to some fishing, i.e along the banks of the R.Trent, and to stillwaters out of my walking distance. Well after all the rain we've all had the R.Trent has began to settle, I gave Dazz A quick call to see if he'd be up for todays session, we made plans to fish a stretch of the R.Trent and head to some gravel pits. The weather forcast looked nice and the river was dropping at a good pace, last night I strapped the rod and net up on the pushbike and sorted my carryall out and got prepared. By morning I was all up and shining, the air seemed fresh and I have a good feeling that today will be a good day, after breakfast I made my way for the train and to fishing. I met up with dazz for around 10:00 near a section of the 'cut' and went to a Tesco Express for a couple bottle of water for the day. whilst waiting for dazz, I notice a subject to one of my older posts and couldn't resist a picture. At around 10:30am we managed to get to get to a place where we'd be able to lock the bikes safely away, and began to set ourselves up for some fishing. 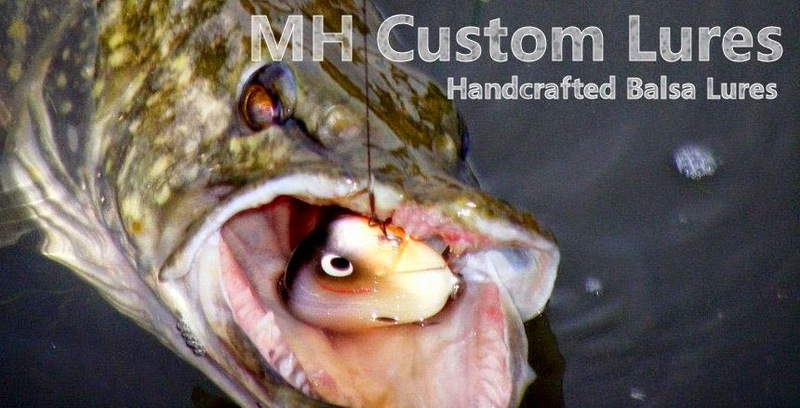 Within a few minutes we're casting away with lures, I clipped on the MH alphabet crank while Dazz clipped on a soft 4Play with a matching lipskull. we both began to fish a stretch of the R.Trent and I began to cast with my axis but starting out infront of me working my way to the left. I was watching the river's current condition, it had a bit of flow but was clear for a few good feet, i cast out to my left and began to reel in, and all a felt was slack, so i reeling in picking up the line so i can get a feel of my lure, the line then went taught and a sharp tug gave me an indication of a fish with the lure. 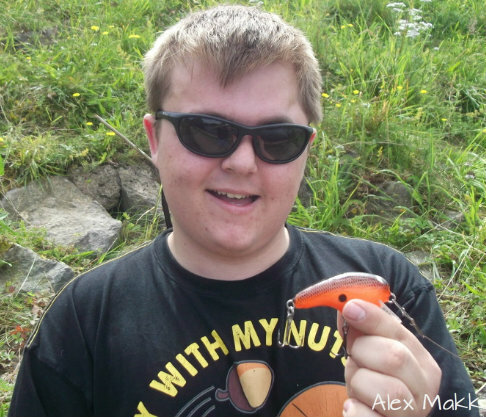 I lifted the ropd to the air to set the hooks and the fish went like a steam train! playing the fish felt totally different to what the fish were like on the 'cut' they usually shake their heads and give bursts of speed at their lunges for freedom. This fish however is giving me a totally different fight, there was no sharp lunges or bursts of speed, all the fish was doing was swimming at such strength and power, it bent the rod over and the the sound of friction coming from the drag made me aware that i'm possibly into a good fish, double perhaps? the fish however was succumbed to the landing net and ready to unhook. The Lure had been engulfed although not too engulfed for a deeply hooked pike, Dazz says that with the river level dropping, it's putting the fish back on the feed. 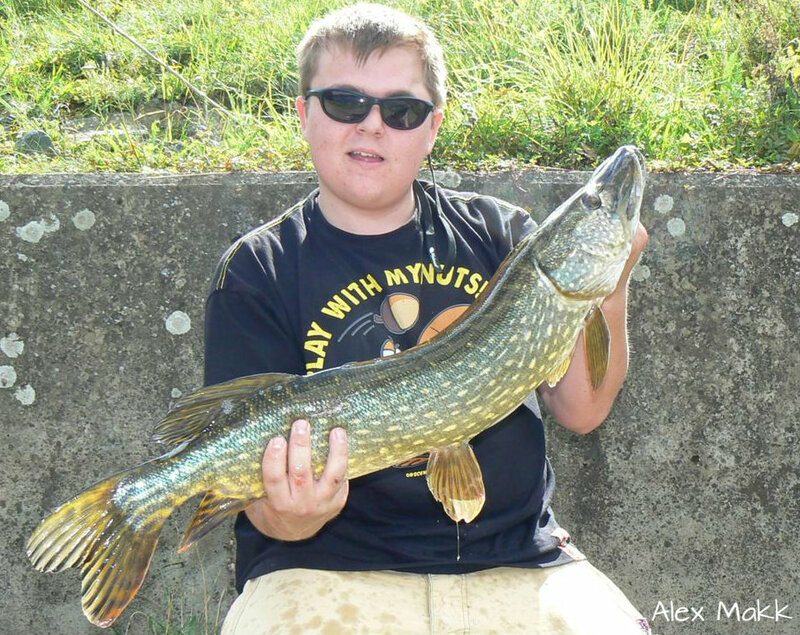 Myself and dazz were expecting this pike to be just nudging a double figure in the lbs, but it came to 8lb8oz (eight and half pound) still a PB lure caught pike and the first fish from the R.Trent so thats a 2012 target ticked from the board, and two for one. After a while we moved downstream without a sniff, and as we were moving we noticed a section of a small stillwater that 'could' be worth a cast, upon going to a peg to inspect said water we both encounted a dozen creatures (small like rabbit, whitefeet, brown fur and a white chest) running across the path to some shrubbery, Mink? Otter? Rabbit? I'll leave it to you readers as I haven't a clue nor does dazz. We carried on and got round to the gravel pit, upon a first it looks potential for the session, and in one of the first pegs we got to we encounted a rotting corpse of a dead pike (around the same as mine i had today), my first though were that the fish had be killed by someone, but dazz says it had died of natural causes and I agreed. it was getting on for around 14:00 and we had made our way through a few pegs on the gravel pit but with no sign of life.We made our way back to where we started off on the R.Trent and had the last hour or so there chucking lures. I clipped on a spro BBZ-1 shad swimbait and chucked it out to the depths after a few casts i had another if not the exact same fish follow it in, BAM! It hit the lure but as i went to set the hook it let go (Crafty B*gger), after that i decided to slowly wrap up my gear while dazz was still fishing. he came back near to where he left his bag to swap over a lure, I asked if he had any signs of life and he'd had two small jacks let go, a 'decent fish'and a couple of small perch following the lure. 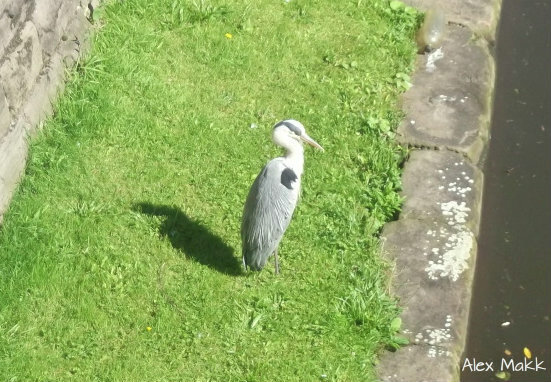 As i went back to my business he seemed to be holding his rod a bit high, I shouted over to him ''are you in'' and a nod of the head confirmed so. I grabbed my net and went over, he'd only got a small jack only a couple pounds in weight. 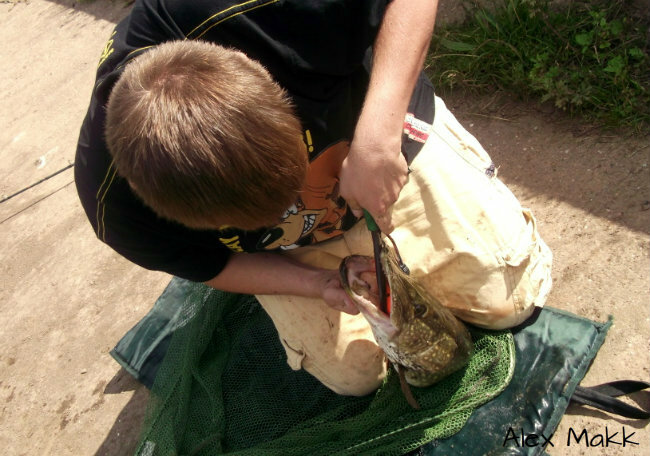 Well done on catching your 1st Trent Pike. Many more to come I hope!